My mum is a great cook, and her octopus salad is by far the best one I have ever tried. The octopus is so tender the way she cooks it, you actually can't believe it can be so soft. The cork was something my grandmother did, my mum still does, so I do also. If you have caught the octopus yourself, it must be frozen before you cook it, not sure why, but if cooked fresh, it will be tough. If purchased from the fish shop you can cook it straight away. The oil and vinegar quantities are a guide, add more or less of each, that is up to you, I have put measures, however I usually do this to taste. Sometimes I feel like more oil or more vinegar so I add more, sometimes I like loads of white pepper so I add it. Keep adding things until you have reached the flavour you like. 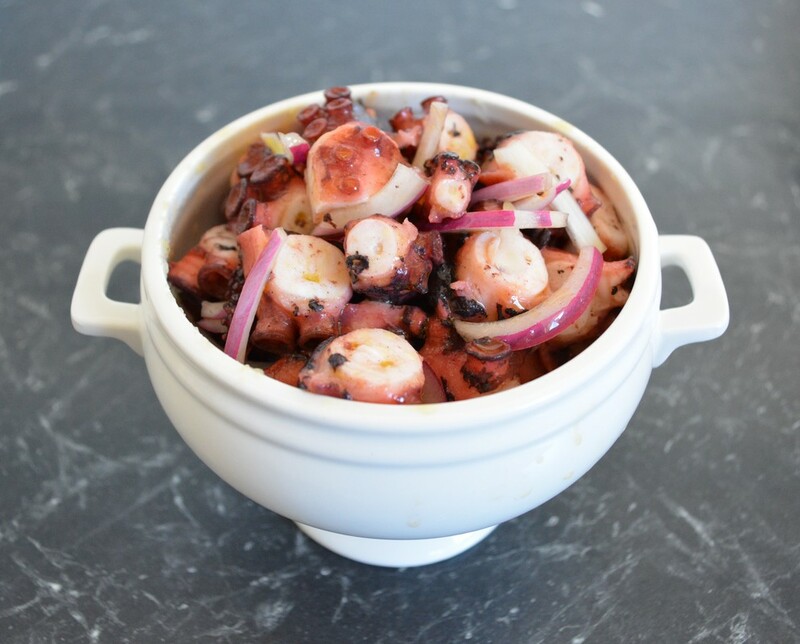 ​If you would like to cook octopus, but are unsure how, try this, I have never had softer octopus ever. Put the octopus and the cork in a large saucepan. Add cold water to cover the octopus. Bring to the boil; simmer for approximately 20-30 minutes. It is ready when the larger suction cups can be removed with a fork with not too much resistance. You start checking the suction cups after 20 minutes of simmering. When ready, turn off the heat and leave the octopus in the cooking water for 30 minutes. Remove the octopus from the water and discard the water. Cut up the octopus into bite sized pieces. 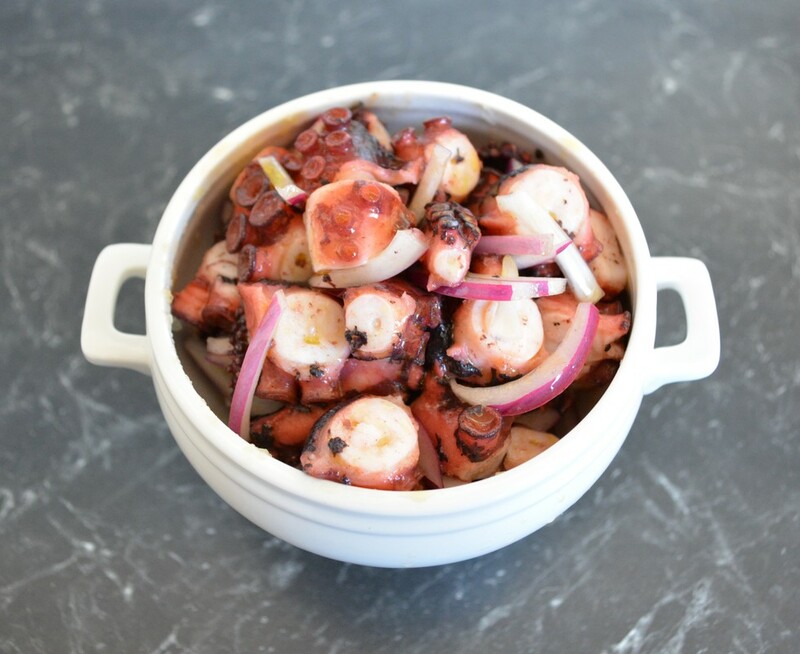 Return the octopus to the saucepan, add the onion, salt, pepper, oil and vinegar, mix well to combine. ​Transfer to a serving bowl, serve immediately. Or allow it to cool and refrigerate, it is lovely cold also, just remove it from the refrigerator 20 minutes before you want to eat it.